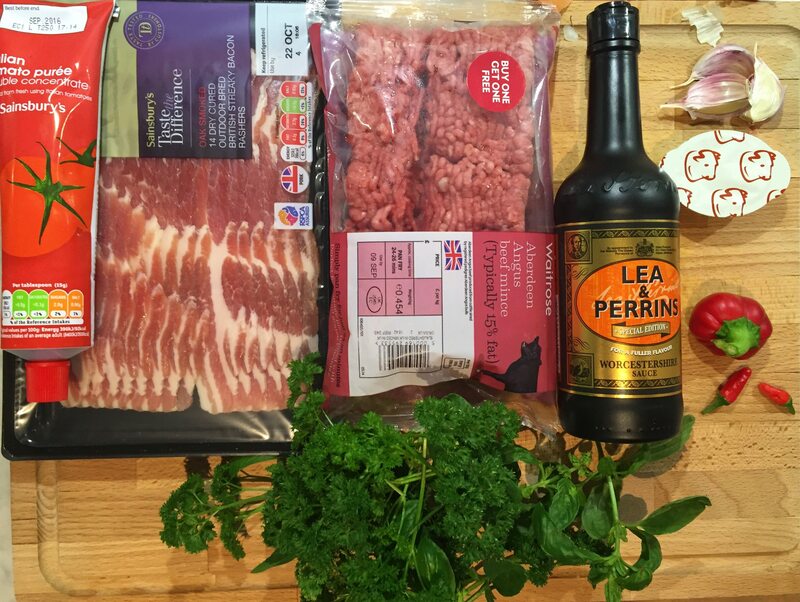 All this and more will make your bolognese lush. 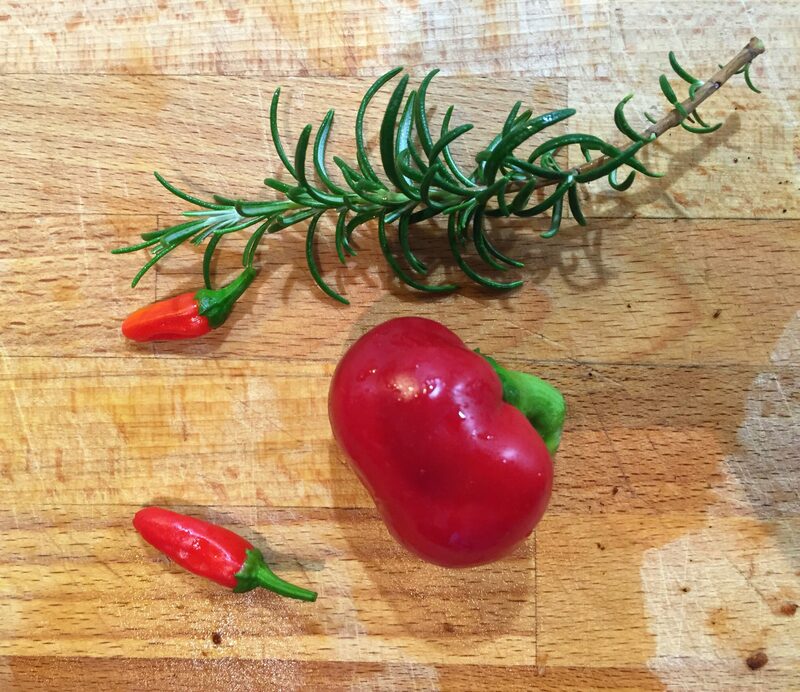 This is the base of flavour that you must create. I know it’s boring but get chopping! First, make your mirepoix. This is intensely dull, focused chopping, so I do apologise, but you need to do this to get a decent base of flavour for your Spaghetti Bolognese. 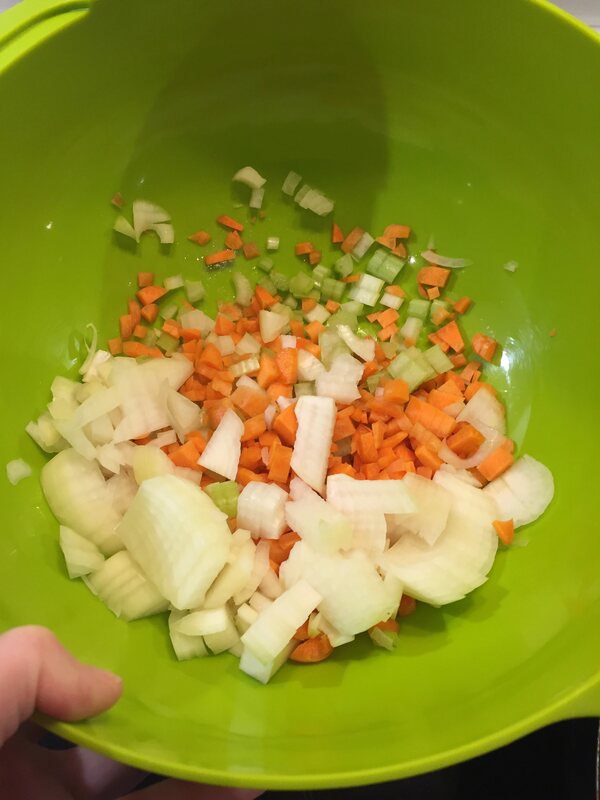 Put your mirepoix to one side and grab a large high sided skillet or wok and brown off your mince, stirring it constantly to ensure it doesn’t form large lumps. 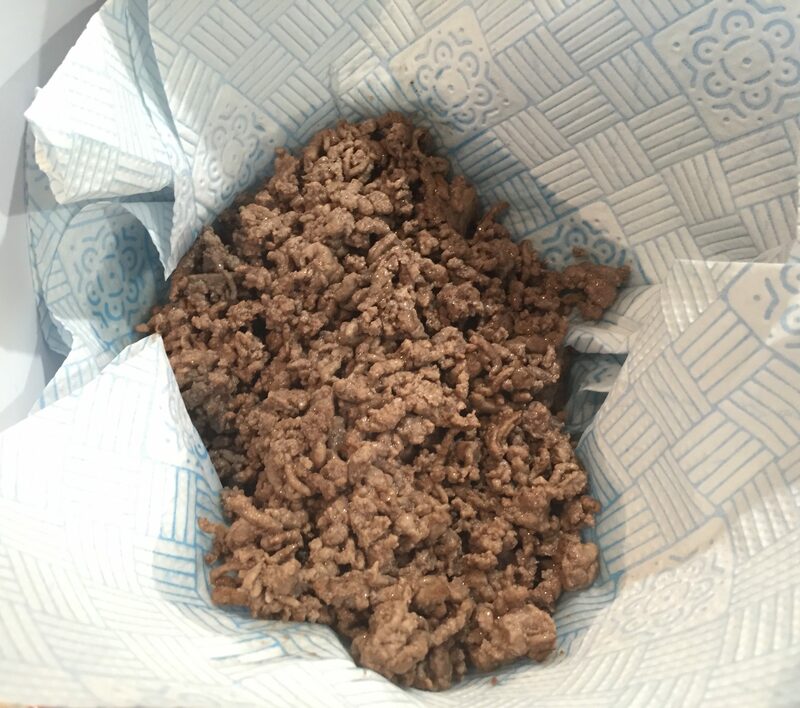 Drain off your mince (I use a large mixing bowl lined with kitchen towel) and set aside. 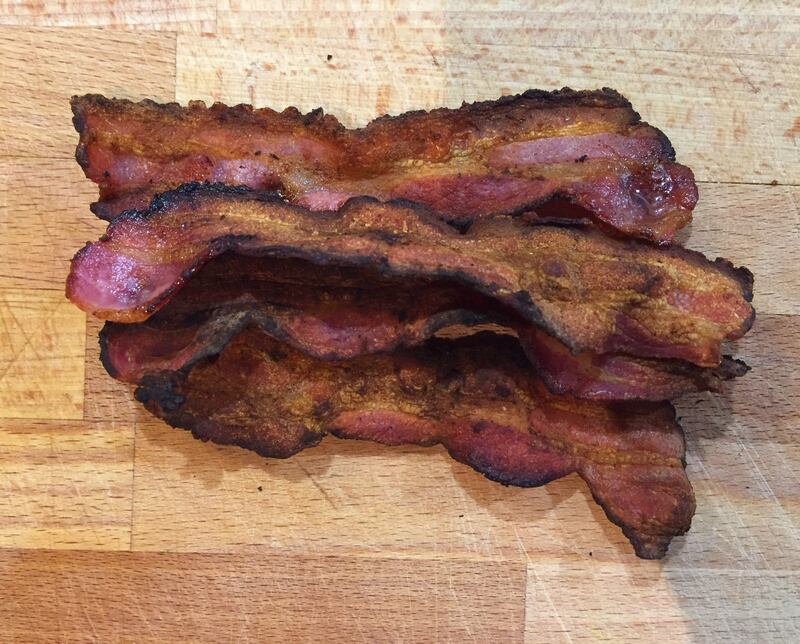 In the same pan, cook off your rashers of bacon until they are very crispy. 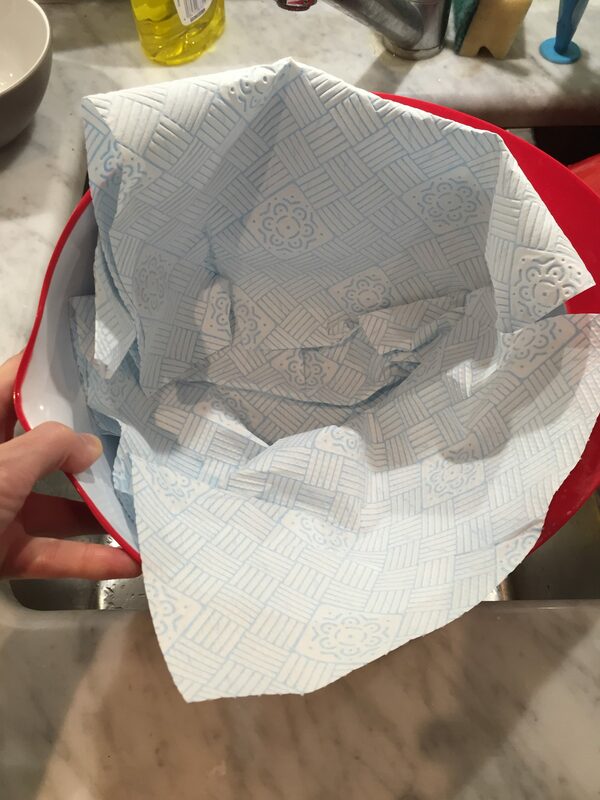 Take them out, drain them on kitchen towel and once cooled, chop them finely. A little nest to drain your mince. Leave your mince to drain and crack on with creating a deep flavour. Add some olive oil to the lovely remnants of bacon fat and add your mirepoix and garlic. Cook this down on medium heat for about 10 minutes or until it becomes tender. 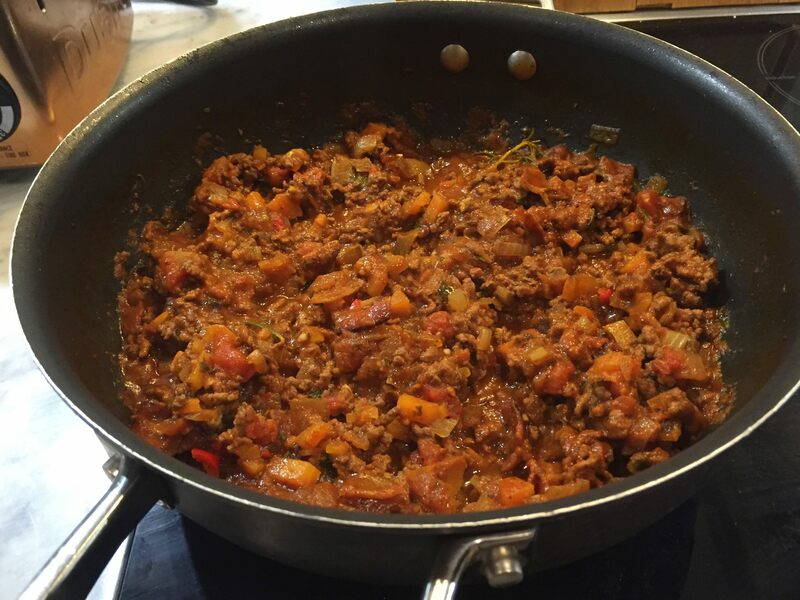 Add your mince back into the pan and add the following ingredients: tin of tomatoes, tin of water, chopped chillis, dried oregano, beef stock pot, Worcestershire sauce, rosemary spring, half a bottle of wine and a good grind of salt and pepper. Stir well to combine. The balcony gardener strikes again! Bring to the boil to get all the ingredients up to the same temperature then reduce to medium heat. Then, add half your chopped fresh herbs (the rest are for garnish or to use in garlic bread if you wish) and the bacon. Why do we add fresh herbs at this point? Because I didn’t want to damage them on extremely high heat, so we add them after to cook down and infuse the dish. Stir to combine, put the lid half on/half off so the steam can escape and leave to bubble away for about 45 minutes to an hour. We want the ingredients to cook down and for the liquid to be absorbed, so the mixture we end up with it semi-dry and not all watery and hideous. See? During this time I suggest you ‘tidy up’ that bottle of wine. Serve this Spaghetti Bolognese with a chunky pasta, tagliatelle, fettucine or parpadelle. Spaghetti, bucatini, etc are not robust enough, you need a pasta that acts as a vessel for this big, bold sauce. 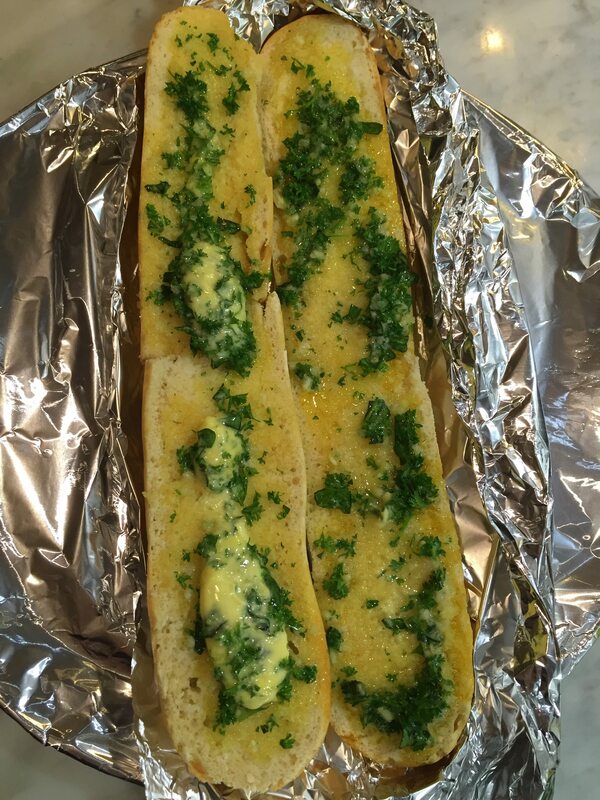 Sprinkle some chopped herbs over the top if you wish (or use them for garlic bread), some freshly grated parmesan and cracked black pepper.